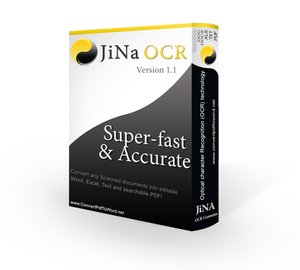 Convert any Scanned File PDF or Image into editable document Word (.docx) (.doc) (.rtf), Text (.txt), Excel(.xls) and more as (.xps), (.html), and also Searchable et editable PDF file (.pdf). 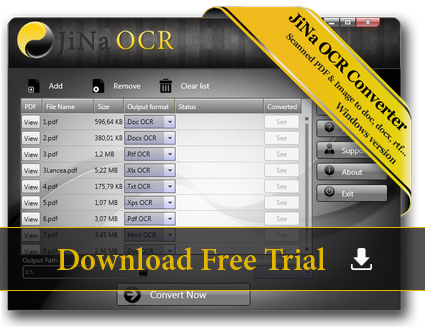 JiNa OCR Converter Software Full Version + Product Key. Convert PDF to Word Desktop Sofware Full Version + Product Key to unlock it. Convert PDF File into Word (.docx, .doc, .rtf), Text (.txt) and Image(.tiff). 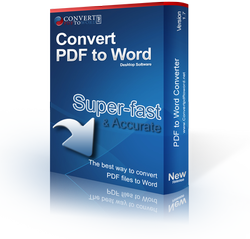 Convert PDF to Word Desktop Software Full Version + Product Key.